rearding the fact that we doesn’t have any current IGEL Hardware like the new UD6 or UD3 we will not provide any information’s or faq’s for these devices in the future and all related hardware whitepaper’s are discontinued. Please do not contact us if you have questions related to these devices because it’s not serious to provide information’s or help without any way to reproduce. We’re also currently investigating the Google ChromeOS to put some attention on this OS. Citrix has announced a partnership with Google and also Clients from VMWare and 2X are available incl. a management solution; so this one could be an intresting cloud client OS for road workers. For us important are the limitations and differences between the ChromeOS clients and the Windows/Linux/MacOSX clients. If you have already some experience with the Chrome OS we will be happy if you share some daily use experience with us incl. how updates are handled thru the different hardware vendor’s (the main gap for Google’s Android OS). 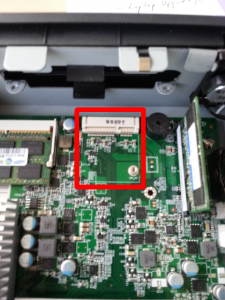 here are some more pictures for the new IGEL UD5 / UD6, click on the foto to enlarge. P.S. : Deeper review will follow once i received my test device. I will not review the different IGEL OS coming with the device, they’re similar to the old UD5. it’s not far away that IGEL will release the new UD5 (Dual Core-Intel J1800 CPU) and UD6 (Quad Core-Intel J1900 CPU) devices. As you see the Mini PCI-E Slot is still available. 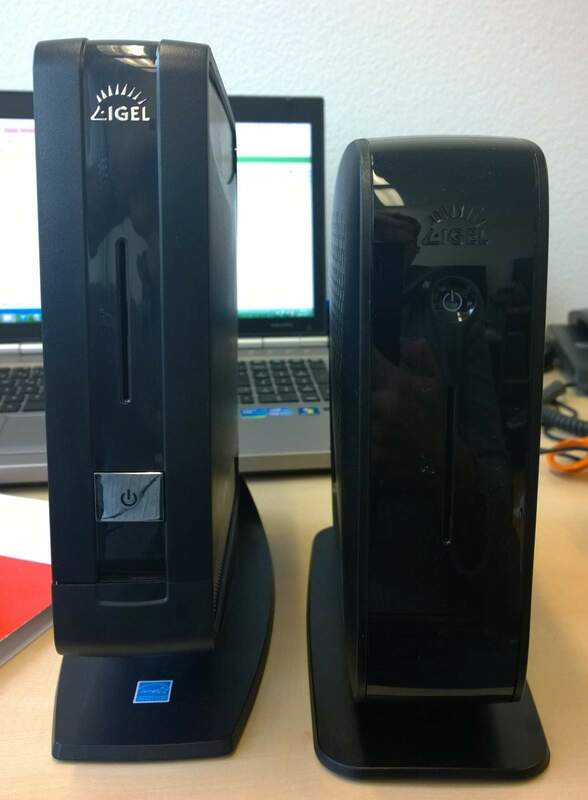 I will post a bigger review and some test results after the promised test device arrived from IGEL, this one is not my device and i don’t get the time to perform a bigger test at moment with the available device. There will be also an update for our Windows App incl. the new UD5/UD6 Tech Specs in the upcoming days. 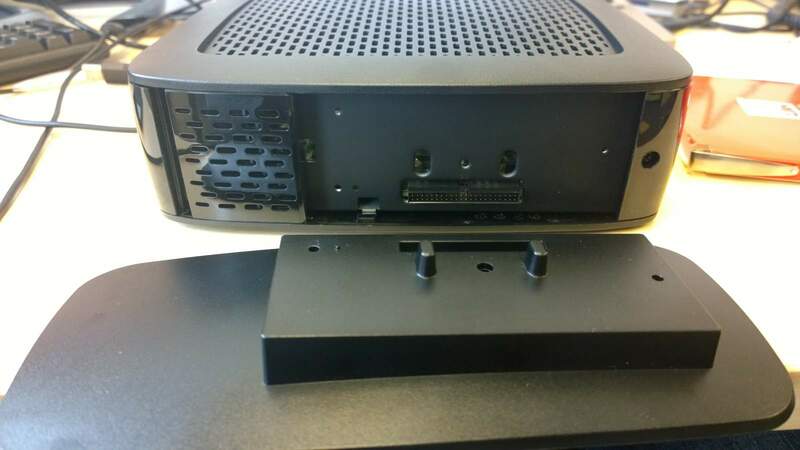 Please note: The connection foot for the older UD5 to provide a WiFi/LPT Port is not compatible with the new UD5/UD6, it will not fit under the new case. IGEL brings up a a new device/firmware type called Universal Desktop W7+, the Universal Desktop W7+ is similar to the regular W7 but it comes with an 8GB SSD and not like the regular W7 devices with a 4GB SSD. Main benefit for the W7+ is the fact that you have much more space available to install applications or drivers to the device, for example to install the Lync 2013 VDI Plug-In from Microsoft. 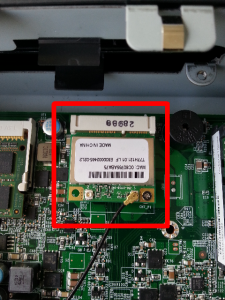 Import: If you are running a mixed environment (W7 and W7+) you have to handle two seperate firmware’s. The Images are not compatible. W7+ is available for the current UD3, UD5, UD9 and UD10. 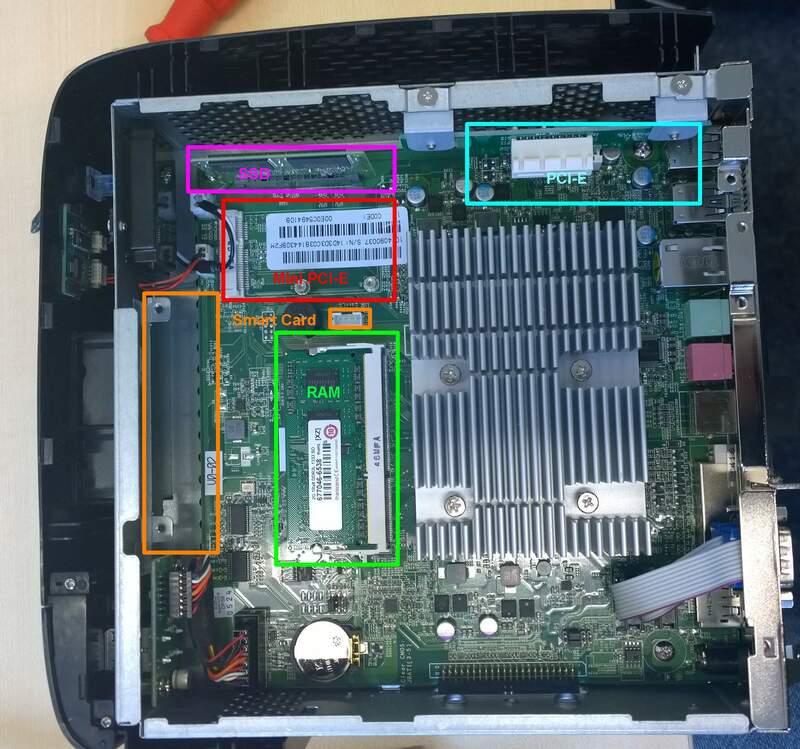 in the last time i got some reports where user try to connect a mSATA SSD thru the Mini PCI Express Port coming with the IGEL UD3 / UD5 Dual Core Mainboard. This will not work!!! 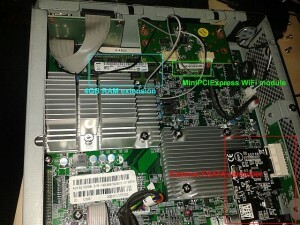 The Mini PCI Express Port and the mSATA Port are looking equal but they are not. 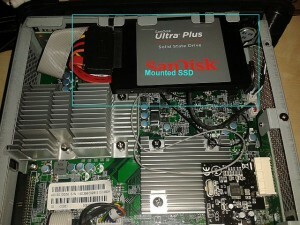 See also Mini PCI Express Specs and Mini SATA Specs. 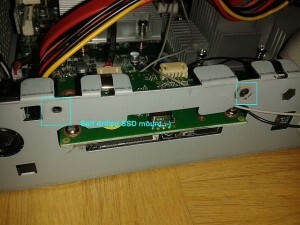 There are some Boards offering a “cross” compatible connector but the Port coming with the UD3 and UD5 is a pure Mini PCI Express Port and a mSATA Module will not work with it! maybe you already noticed the UD3 Facelift announced by IGEL in the last weeks, but what do it mean for you as user? From the technical point… Not much, the biggest new technical change is the extension foot (see below) which now contains two RS232 Ports. For the end user there will be some changes in the handling. From the Operating System Side and the other technical specs it looks quite similar, like already mentioned; so it’s clearly a facelift from the optical point of view and for the user “handling”. Iam sure a lot of people will like it and a lot of people will also don’t like it but at least this is a question of personal preference. I will post some more details after i got a trial device, but i believe the device has made some good progress for the end user handling at all. Info: IGEL will not deliver the DVI->VGA Adapter by default anymore together with a thin client. In the past IGEL has delivered a free DVI to VGA Adapter with every device, this has changed now and new ordered devices will not come with a DVI->VGA Adapter anymore (Starting with the first of december 2013). Why? I believe a lot of people don’t use it and in this case it is just useless waste; but this is only my unterstanding. The good news: You can order the adapter together with the Thin Clients and this order is for FREE but you should not forget it if these Adapters are required for a roll out. i got a request for a resolution change solution which allows the user a resolution change without contact the helpdesk or using the IGEL Setup via an icon on a desktop or maybe a hotkey. First of all: This will not have an impact on running session like RDP/ICA or whatever, the user needs to do this before he starts any session!!! 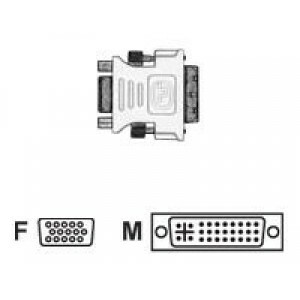 You need to figure out what display types/connector’s you are using for example for the UD2 Multimedia/IZ1 you have VGA and DVI-D. If you are not quite clear what you have to use here go to the client which should get the solutions and open a terminal session, log in as root and execute the command “xrandr -q”. This command will give you all supported resolutions including the available display connector names. Write it down and also the resolutions you want to use (this can be more or less as mentioned in the IGEL Setup depending on the connector/display(!)). Okay… Now the funny part, open the profile in the UMS and/or the local IGEL Setup; in my sample i will create two add-on sessions to switch between 1280×1024 and 1024×768 for the VGA and the DVI-D port on a IZ1/UD2-Multimedia. In the profile/igel setup browse to System->Firmware Customization->Custom Commands->Desktop Commands->Custom Command Desktop Final and add the following script. This will copy the last executed script to the /wfs folder and will execute it during the boot up (last line in script), of course you can use also a custom application with the enabled autostart option for this. Attention: in this case we have to make the /wfs folder writable for the user to copy the script in the permanent folder, this could be a security issue depending on other applied configurations like a teminal session that is available for the user. This will also bypass any resolution configuration coming from the UMS! You can configure the Desktop Integration Options as you like: A hotkey, where should the session be shown and so on. You can do much more with it (screen rotation and so on), feel free to play around with it but please note: As soon you reboot the client (if script one is used) or apply a new configuration thru the IGEL Setup/UMS the default resolution is applied again! If a script is not working check out that you have configured a valid resolution/display connector like mentioned above. Update: You can also use xrandr -s 1440×900 (resolution) if you don’t want to configure seperate screens, this will always configure the default screen. See also the xrandr documentation for the exact syntax because wordpress will corrupt some characters in the script syntax. this is a project done some time ago, the device is now been used nearly six months 24/7 and i did not got any issue with it.. So time for posting it. Reason why i did this: I needed a very compact test environment/server providing enough resources to host a Windows Server 2012 incl the Hyper-V and some other roles for demonstration/test scenarios with a low power consumption (required, has to be used in a car/van if needed). So the new UD5 dual core was very promising to be right for this job. The grey and black wire are for the WiFi antenas, i’ve placed them in the front plate because i needed the signal in the front direction. 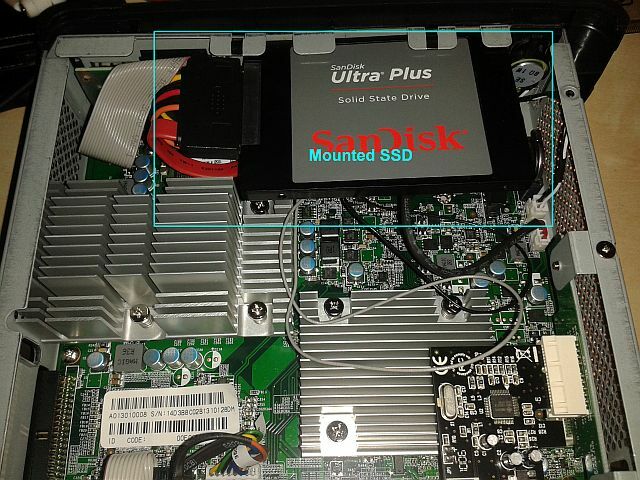 Now the difficult part… Placing the SSD in the case, it’s tricky but it can be done… In the front side on top of the smart card reader is just enough room to host the SSD but you need something to mount it. Where is my drill? Fit’s exactly! After a quick assembling the device is now used for a long time and the client ups… server will not get to hot or something like this (Zero time of failure until now). So for me this is the perfect solution. The SSD is running a pre-installed Windows Server 2012 Standard (already upgraded to R2) via VHD boot to provide a very simple way to upgrade/backup the Server. Oh i forgot… This is not supported by IGEL Technology in any way! I would also not use a HDD for this solution, a SSD requires less power,produces less heat compared to a HDD and is not as rough for mobile use like a SSD. Of course you can say… Why not using a Laptop? 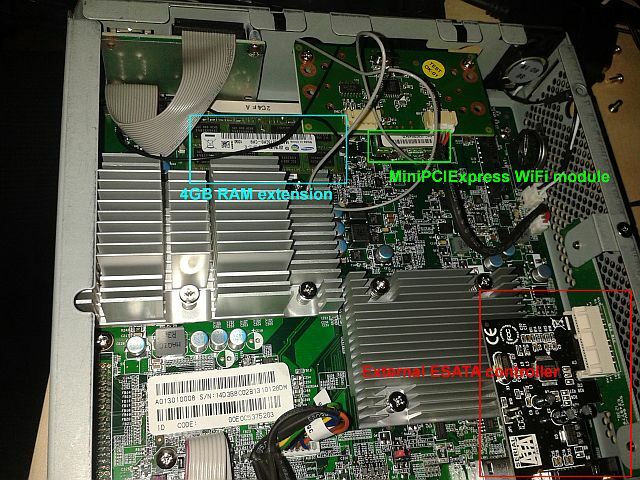 Try to find a “silent” Laptop providing two WiFi cards, inbuild smart card reader, eSATA, DVI/Display Port/VGA connectors, two serial Ports, 4 USB 2.0 and 2 USB 3.0 Ports, 1 LPT Port (extension food) for max. connectivity and with a >~20W power consumption in total. No chance! Versions of this Press Release in other languages are also available, it introduces the new Licensing and Devicetypes coming from IGEL. i just want to share some facts about the new IGEL UD 10 device with you. You should be aware that a few things will change in the upcoming months, like the Productnames (see above) but don’t panic… It’s still a IGEL Linux. Regarding Windows 7 is not much to say, still a IGEL optimized Microsoft Windows Embedded but i will send also an update regarding this once it is available. P.S. : Of course i will rework the cloud-client.info hardware whitepaper after the final release. 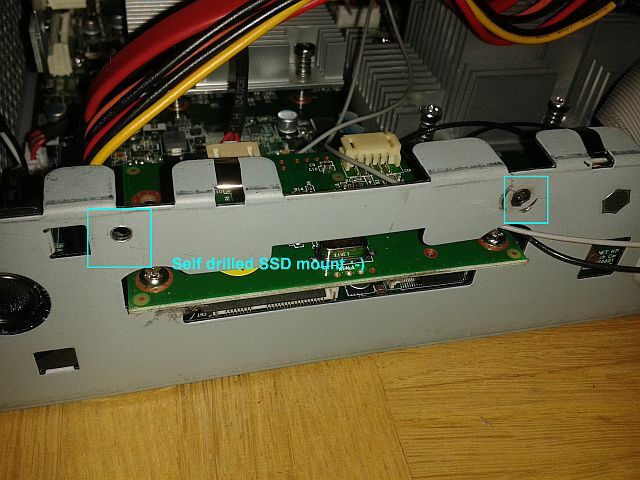 like promised some Pictures showing the “hidden Feature” Mini PCI Express Slots. 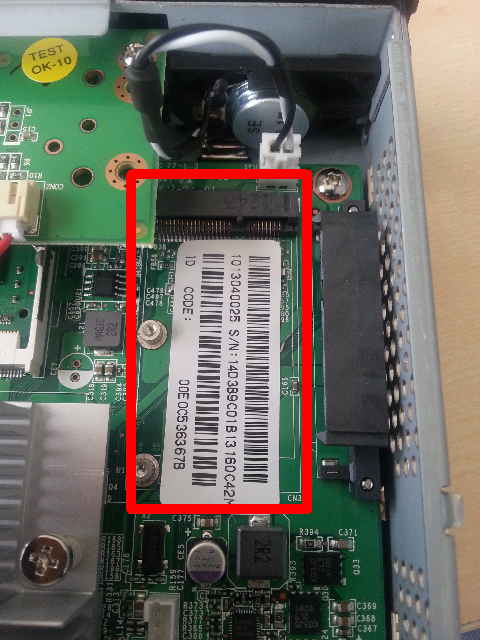 UD5 Mini PCI Express Slot Half Size with Atheros AR9285 based WiFi Modul. very often Hardware Vendors announce features… If they have it or not. IGEL is different, they build in a new feature and do not mention it anywhere incl. the hardware documentation! When i first saw this slot i was not sure if this one is locked thru the (UEFI) BIOS and no one could provide me any details: so i ordered some Mini PCI Express Cards for my tests. 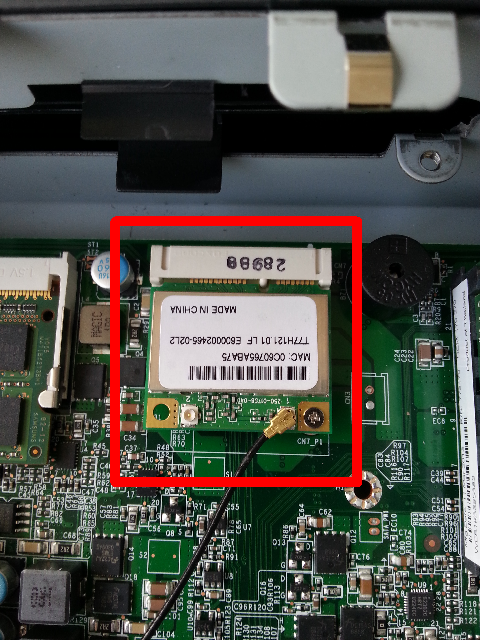 Until now i’ve tested a WIFI Modul from Atheros (B/G/N) and a WIFI/Bluetooth Modul coming from Ralink: Both worked without any issue and can be fully used. Remember, the IGEL Linux can not handle Bluetooth but Windows will do. Very good way to extend the device without any external hardware. I’ve no idea if this will have some impact on the warranty for the UD3. Not mentioned in any documentation.. So it might be not supported in general. Not in the manuals also mean: maybe gone with future board revisions. Important: It’s a half size Mini PCI Express Slot, full size do not fit without an extra adapter! Do not use Wireless Cards without an antenna (pigtail) or an antenna mounted in the metal case, this mostly destroys the Radio component at the modul after some time. Needed Antennas can be ordered very cheap at EBay or good IT Shops. Test always in advance! I did not test internal Mini PCI Express SSD’s, they are high expensive and this was to much for a “just for fun” test. There will be some pictures available in the next days. 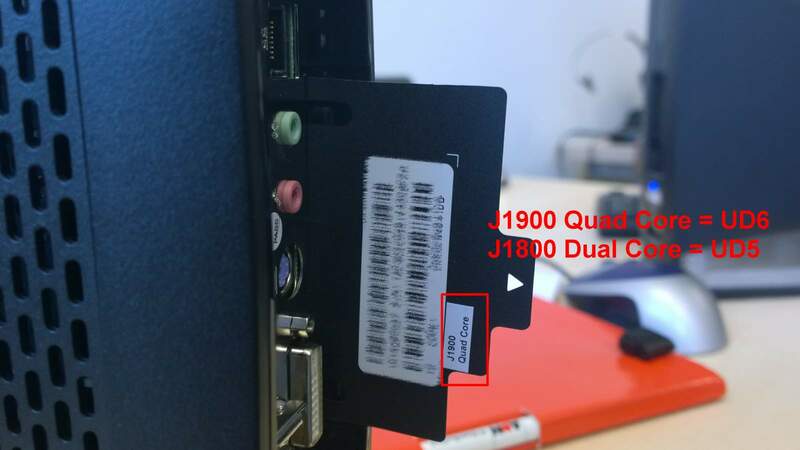 during a product presentation i got the change to take some Pictures of the new UD3 Dual Core device that was also shown at the CeBit a week ago. The case comes with the same form factor like the current UD3, regarding the performance the UD3 Dual Core seams to provide a little bit more power like the current UD5. 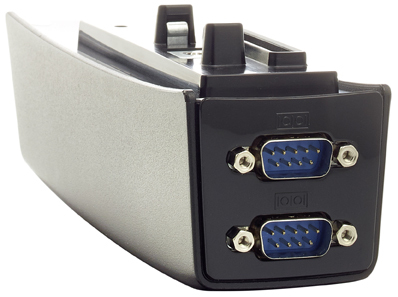 The serial port/rs232 port is gone to provide a second DVI Port for dual Monitoring and this allows to connect two digital display to the client without the need of a Y-cable, users requiring a serial port can get this with a add-on connection foot for the client. 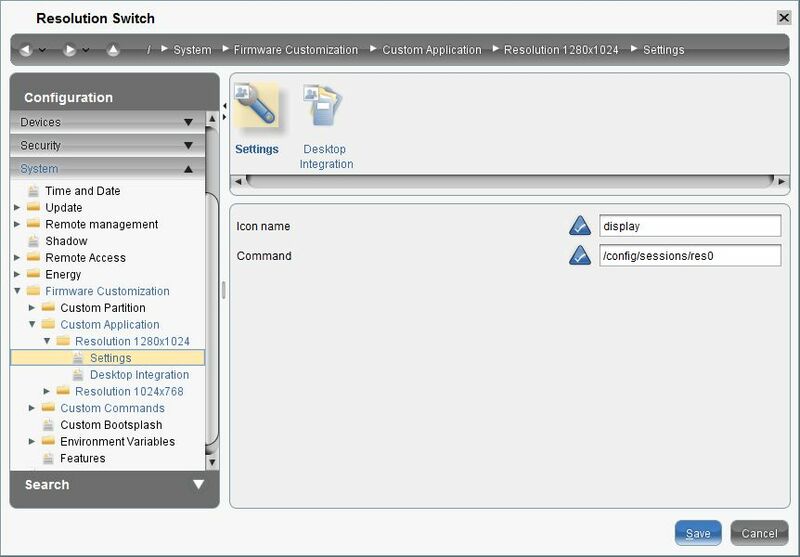 Also IGEL has shown a beta firmware of the upcoming 4.12.100 Linux firmware, the firmware looks to support RDP8 (Windows Server 2012 / Windows 8) incl. RemoteFX which is very unique in the Linux Thin Client world (RDP7 incl. 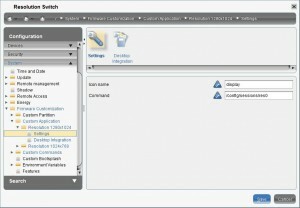 RemoteFX is already supported by the current IGEL LX/OS Firmwares). At all the device looks very good on the first view, iam still waiting to get a sample for some more tests in my hands incl. the upcoming UD5 dual core. 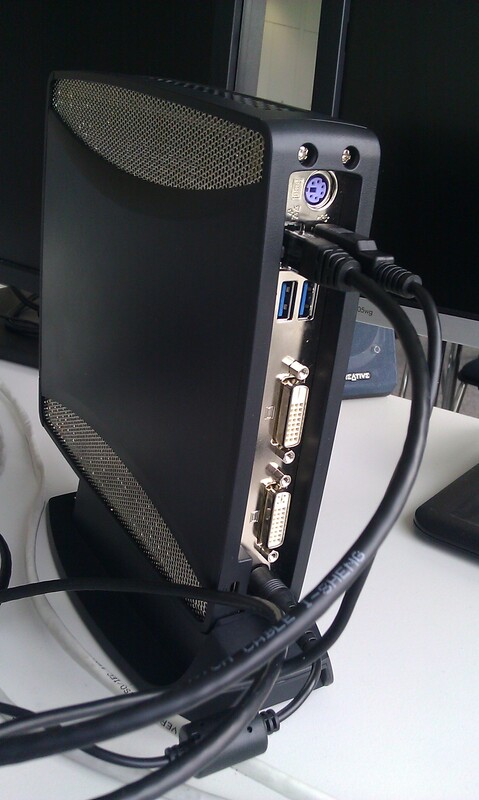 I have only one point to consider, the USB, Network and the PS/2 ports on the back are very close together incl. the two USB 3.0 Ports, this might be hard to handle for users if they want to connect a USB Harddisk or Memory supporting USB 3.0. For example to connect a USB WiFi Device (without extension foot) i was required to use a short USB extension cable because the WiFi device (a big one) did block the other ports also a regular USB Memory (not a ‘very’ small one) did block ports around without the use of an extension cable. But this point is currently the only thing that bother me a little bit and are related to the small form factor. This Whitepaper describes the current IGEL devices including the hardware names (like M310C), the technology, is the device still available, end of life dates, warranty times and available firmware Versions. So if someone call’s you and only know’s he got a IGEL D200 you know what device it is and how long the support/warranty time will apply to the device. 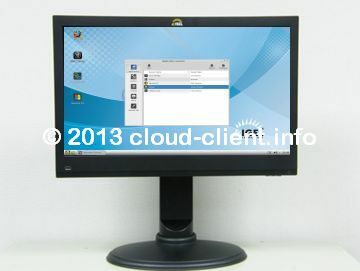 It includes also the new IGEL UD2 Multimedia which is based on the ARM Technology. This is not an official IGEL document, this document comes without any guarantee. Want to learn more about the new UD2 Multimedia? Sign in for the following webinars for free. Duration is around 60 minutes. Currently only the integrated standard VMware View client is integrated, which only provides limited acceleration through the SoC architecture. 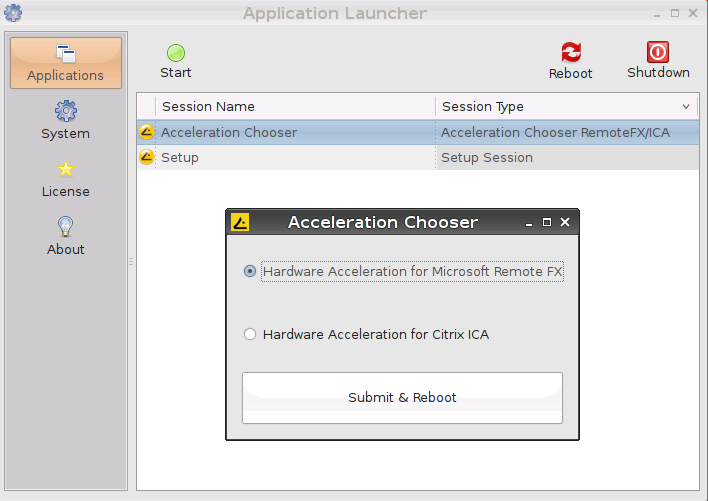 The Acceleration Chooser Setup ist required to configure which type of content (ICA or RemoteFX) is accelerated through the DSP. Today i played a little bit with resolution’s and dual monitor settings with a UD5. When using a high resolution (2 times 1920×1200, millions of colors) i got no screen on my second display connected via the display port. 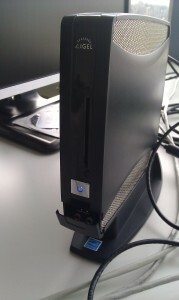 Today i got the time to play a little bit with a new IGEL Thin Client generation. 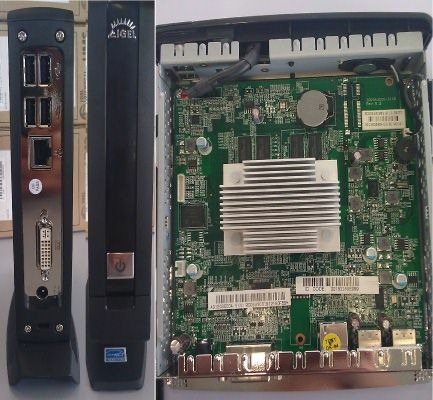 The client is Linux based (LX), comes with a ARM CPU and a digital signal processor (DSP) aka System on Chip (SoC). The ARM based “system on a chip” technology comes with the benefit to provide a good multimedia experience for a low price. Of course you can’t compare it with a UD3/UD5 in the overall performance, but for multimedia content it can beat other devices in the thin client entry level segment. SoC was introduced by Citrix in 2011 and also Microsoft Remote Desktop Services have a clear advantage here. The device was already introduced at the CeBit 2012 (Europe), the Microsoft TechEd North America (US) and the Citrix TechEx (Germany).